For many years “Precision Agriculture” and “Big Data” has given early adopters a leg-up in terms of efficiency and bottom line decisions – for others, the topic remains uncharted territory where the pros and cons are a topic of regular conversation. No matter your preference of machinery, monitors, or software there are several aspects of farm data that should be on your list of concerns; including privacy, security, and how farm data is becoming increasingly valuable to the landowner. Renowned as a legal pioneer in the emerging areas of Ag technology, data and policy, Janzen first made a name for himself leading the charge to preserve the Right to Farm Act, which protects farmers from nuisance lawsuits. Janzen is currently the chair of the American Bar Association’s Agricultural Management Committee. Born on a small farm in Kansas and now based in Indianapolis, Janzen is known across the country as a leader, paving the way for the protection of farmer’s rights to the data they collect in field. The first and most important step in the technology evolution of farming is to simply collect your data. 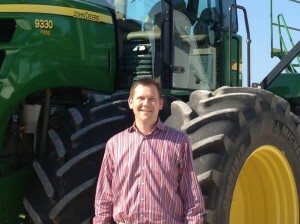 “Farmers have always had this data, it’s just that it might be sitting in notebooks, spreadsheets or hard drives in a lot of locations,” commented Shertzer of FARMServer, “Getting everything into one place (while keeping a backup up copy) represents one of the biggest opportunities to be more successful in the future,” he added. Just as you change filters, oil, and tighten belts, the equipment that is measuring, monitoring, and collecting your farm data needs to run like a well-oiled machine. Make sure you’re running the latest software updates and that your hardware is calibrated regularly. Collecting accurate data is vital to making informed decisions that affect your bottom line. Clean data is just as important as collecting it. Your data is valuable and it’s why big companies are investing so much money into this space. Over time, the data you collect will take up plenty of hard drive storage space and keeping it safe is key to long term profitability. Even if you are using cloud-based software, be sure to make a local backup copy on an external hard drive such as ioSafe or computer. This is especially important in the event that you switch software vendors in the future or sell the farmland. Being able to provide historical data about yields, fertility, and rainfall continue to be ‘on the radar’ to savvy buyers of farmland – the data sets you collect have the potential to influence land value. Lease provisions for the ownership or shared ownership of farm data is a topic that is being talked about more and more often. “Savvy farmers, landowners and investors understand that data is one of the best indicators of production value,” commented Todd Janzen. 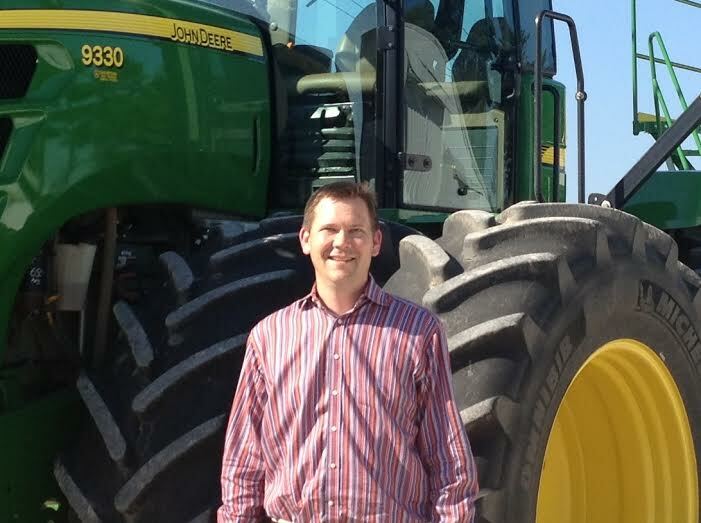 Janzen predicts that “eventually the law will establish that the “farmer” owns farm data. That means the tenant is the “farmer” and thus de facto owner of the farm data their equipment generates on the leased land.” If this is the case, a farm lease may need to clarify ownership of data and how the rights are to be assigned to the landowner. At the end of the day, consulting with your attorney is the best advice to follow. Back in November of 2014, the American Farm Bureau Federation, along with major players such as DuPont Pioneer , John Deere, Dow AgroSciences, National Corn Growers Association and Beck’s Hybrids to name a few, signed and released the “Privacy and Security Principles of Farm Data.” This document set the benchmark across the United States governing the use of farm data collected from farms via sensor equipment hardware and software. Several of the companies that have signed this document are also in the farm data information business, helping producers collect data and analyze it – some offering services for free and others for a premium feature price. The companies that signed off on this document have all agreed that farmers / producers own all of the data collected on the farms they own or lease, and that the producers have the right to control who gets access to said data. As an example, a farmer/producer has the right to allow or prevent their data to be shared with other agribusinesses, CPA’s, attorneys, or landowners/landlords as well as larger nationwide data collections. It’s worth noting that farm data tools like FARMServer (along with other farm management software) make it easy to share or limit the data you share with whomever you choose, giving you the control of the privacy and security. We can’t prevent the technology evolution in Ag, but we can influence the way we adapt and move forward with it. The stacks of spiral notebooks that detail the history of weather conditions, hybrid selections, input costs, and your yield maps really tell the story of your farms. When compiled and analyzed, your farm data is extremely valuable to you and to others. Preserving and protecting your farm data has evolved to become just as important to the farm operation as the other inputs and outputs – everything can be measured and managed. Many would agree that the rewards of doing so far outweigh the risks, but in today’s world a simple ‘click of the mouse’ means you have agreed to all the terms and conditions your software or hardware provider has set forth. How you value your rights to ownership and privacy of data are decisions only you can make, but it’s definitely worth taking a closer look, asking the right questions, and protecting your rights.